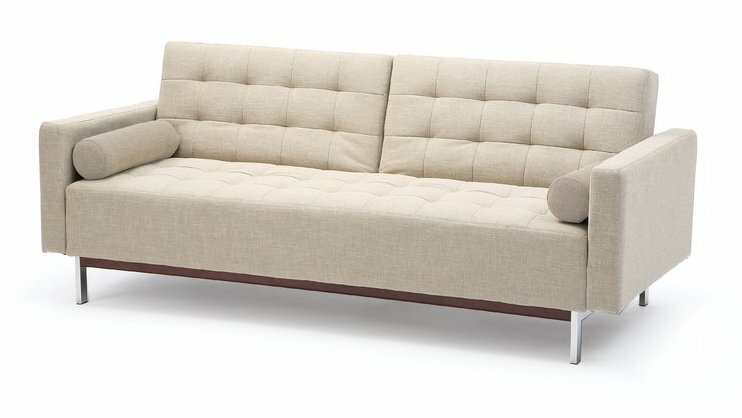 Best Tufted Sofas Under $1,000! Tufted sofas are a popular choice for living room decor. Tufted sofas are characterized by their numerous buttons which push into the surface and create a dip in the fabric of the sofa. The buttons can be deeply tufted, or lightly tufted and spaced out. Tufting is an upholstery technique that has been popular throughout the history of furniture making! Button tufting can be used on a variety of fabrics from linen, to velvet to leather to satin. One of the most popular tufted sofas is the Chesterfield sofa, linked below. Today, tufted sofas give a room an air of elegance which mean they can be quite pricey. 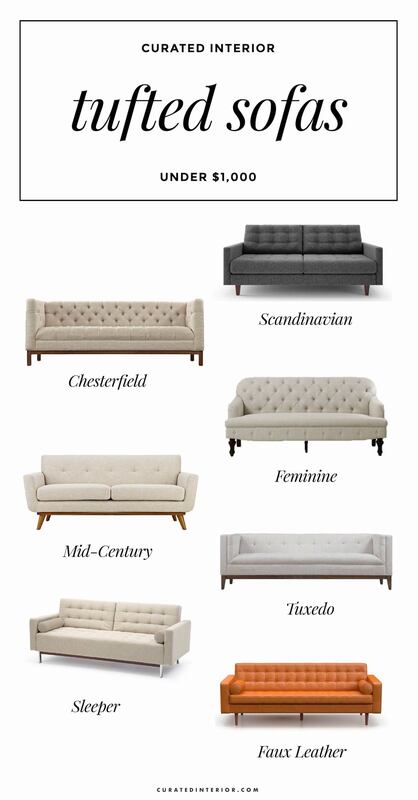 Luckily, tufted sofas are so popular that you can find a great selection of affordable sofas in a variety of styles! 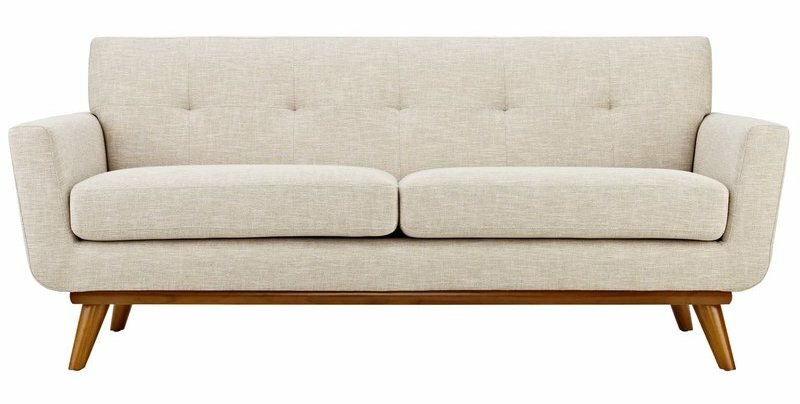 I’ve linked seven popular home decor tufted sofa styles below, each of which costs less than $1,000! 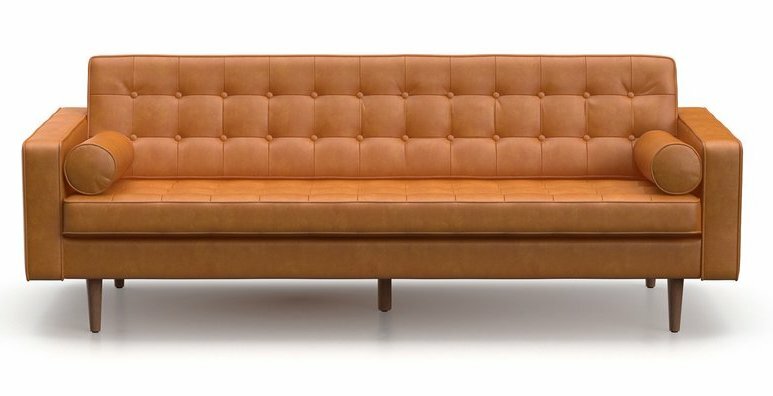 Do you have a tufted living room sofa? Which one would you recommend?